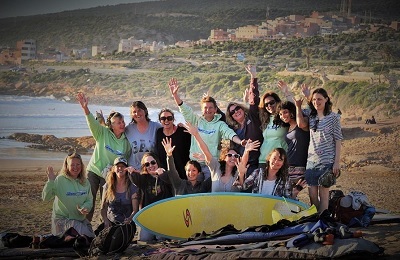 Morocco Surf Camps located in exotic, warm in affordable setting. 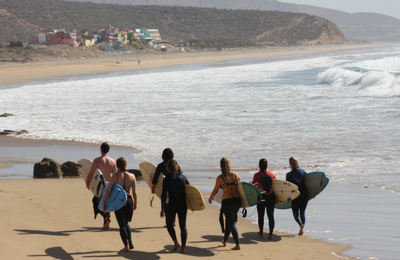 With so much Atlantic coastline, Morocco offers the surfer a dazzling array of opportunities. 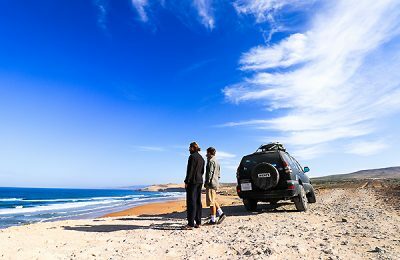 Rocky bottoms alternate with sandy ones, reef breaks with beach breaks. 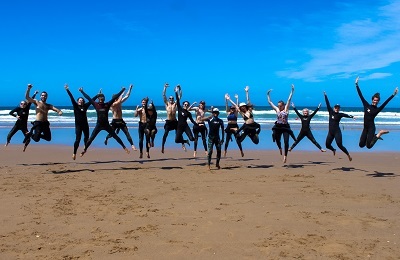 Surfing alternative for all conditions, skills and levels. 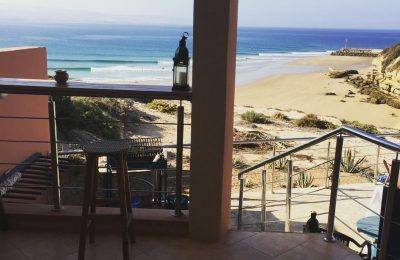 Best Morocco Surf Camps by famous spots like Anchor Point, Boilers, Killer Point. 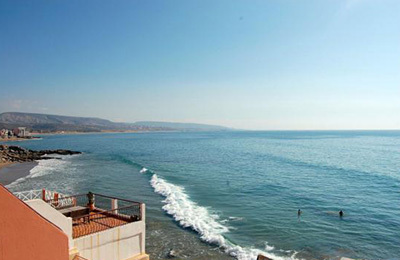 The iconic surfers village of Taghazout has plenty of waves, colors and flavors to offer. 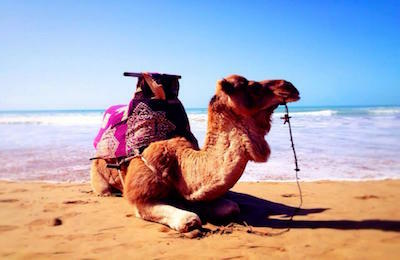 Choose among our Surf Resorts, Camps or Guiding Packages and ride quality waves in North Africa! 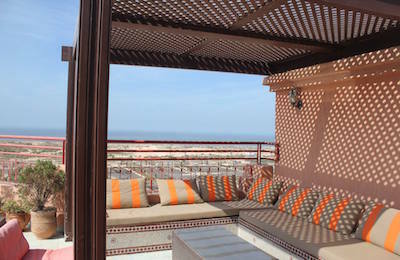 Taghazout Seaview Surf Apartment - Agadir, Taghazout Guests overall rating: ★★★★★ 5 based on 1 reviews. 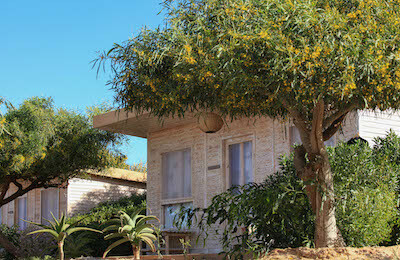 Devil's Rock Surf & Yoga Camp - Tamraght, Souss-Massa-Drâa Guests overall rating: ★★★★★ 5 based on 2 reviews. 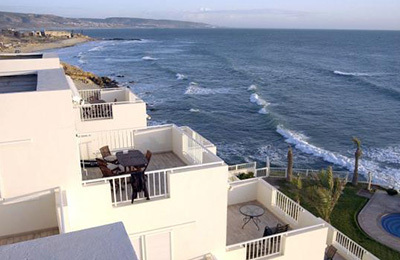 Beachfront Taghazout Surf Villa - Tagahzout, Agadir Guests overall rating: ★★★★★ 5 based on 4 reviews. 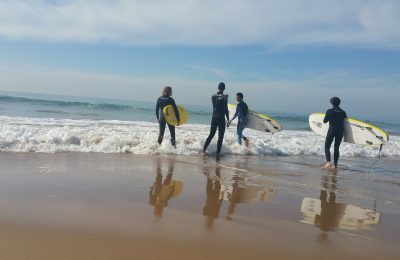 Banana Beach Surf guided tour & Surf Camp - Agadir, Taghazout Guests overall rating: ★★★★★ 5 based on 3 reviews. 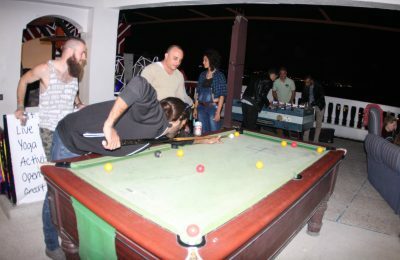 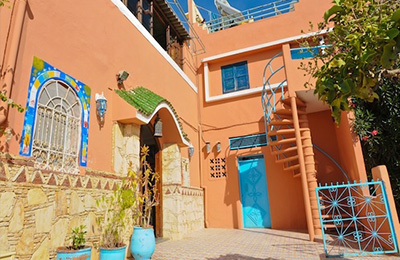 Banana Beach Surf Villa - taghazout, Agadir idda outanan Guests overall rating: ★★★★★ 5 based on 3 reviews. 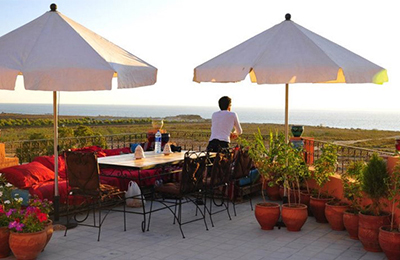 Anchor point Surf & Yoga Resort - Taghazout, Agadir Guests overall rating: ★★★★★ 5 based on 2 reviews. 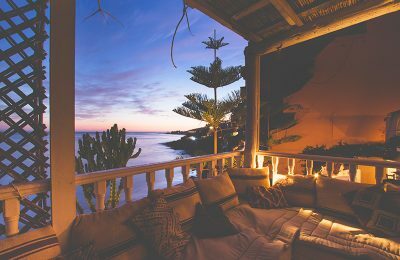 Dakhla lagoon Surf Camp - Dakhla, Oued Eddahab Guests overall rating: ★★★★★ 5 based on 2 reviews. 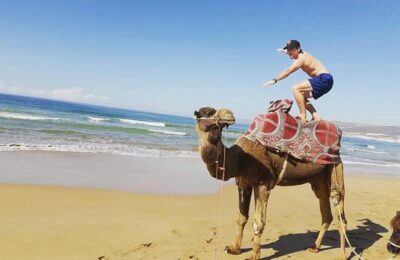 Morocco Surf & Nature - Magic Bay Surf Camp - Imsouane, Agadir Guests overall rating: ★★★★★ 5 based on 1 reviews. 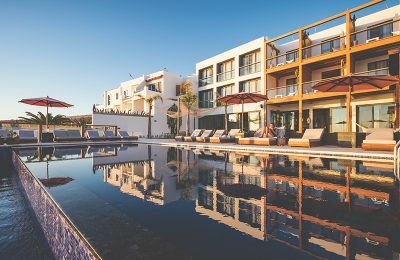 Banana Village, Villa Shangri-La Surf & Yoga Villa - Aourir, Agadir Guests overall rating: ☆☆☆☆☆ 0 based on 0 reviews. 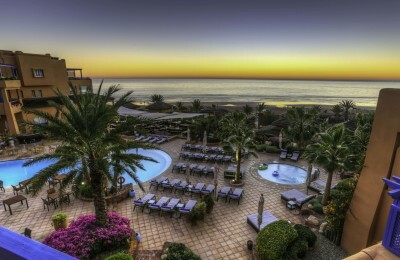 Banana Beach Surf House - Tamraght, Agadir Guests overall rating: ★★★★★ 5 based on 3 reviews. 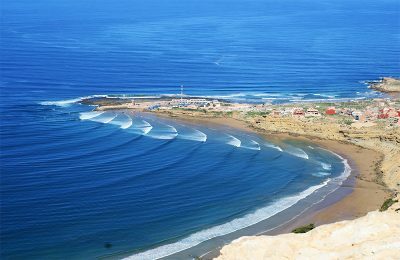 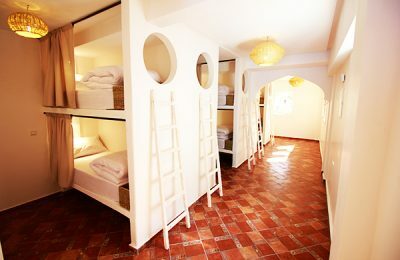 Boutique Surf Camp - Taghazout, Agadir Guests overall rating: ★★★★★ 5 based on 6 reviews. 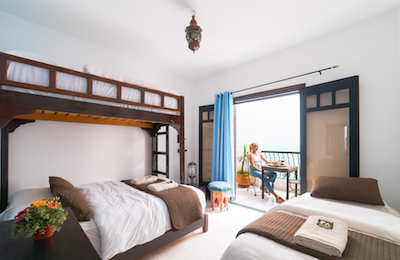 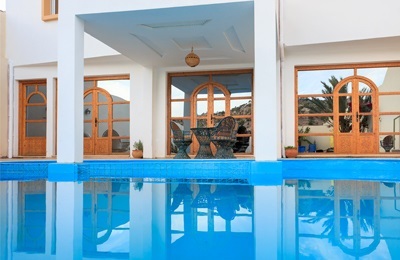 Moknari Beach Surf House - Taghazout, Agadir Guests overall rating: ★★★★☆ 4 based on 5 reviews. 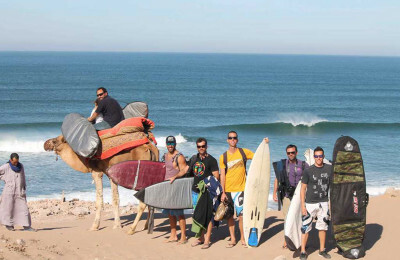 Imouran Surf Camp - Taghazout Bay, Morocco Guests overall rating: ☆☆☆☆☆ 0 based on 0 reviews.